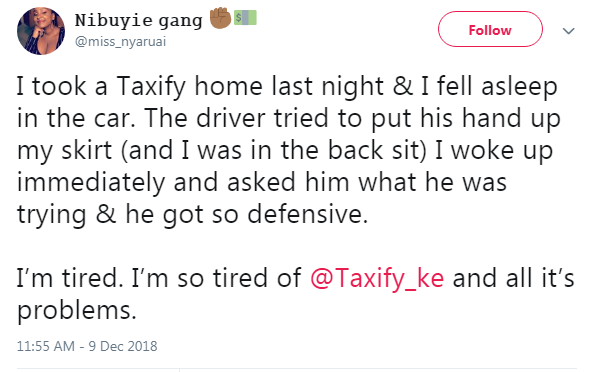 Sunday, December 09, 2018- Taxi hailing App, Taxify, is once again on the spot after a randy driver tried to sexually assault a female client. 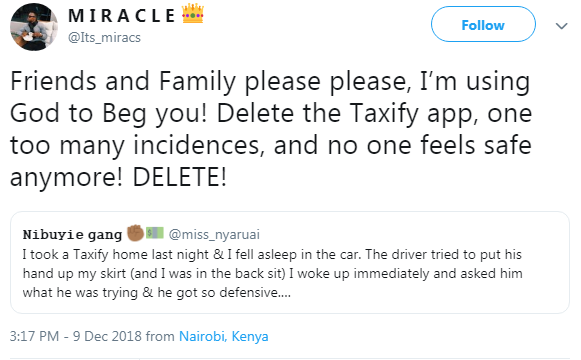 The victim by the name Miss Nyaruai, revealed that she took a Taxify ride and fell asleep on her way. While asleep, the randy driver tried to put his hand up her skirt. “I took a Taxify home last night & I fell asleep in the car. 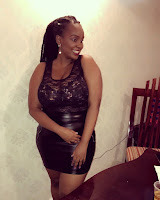 The driver tried to put his hand up my skirt (and I was in the back sit) I woke up immediately and asked him what he was trying & he got so defensive. I’m tired. 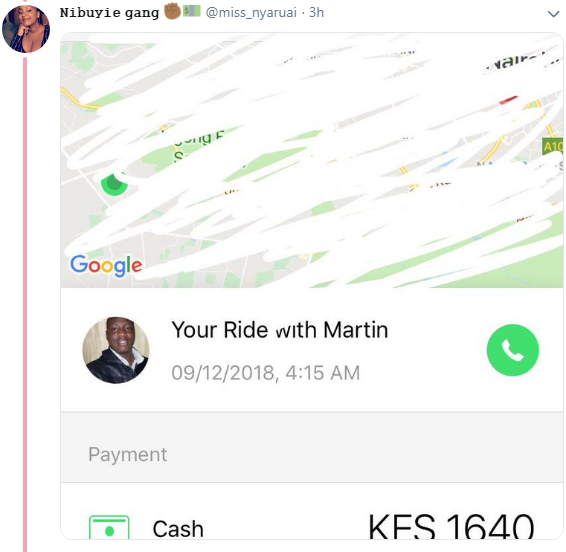 I’m so tired of @Taxify_ ke and all its problems.” She wrote. 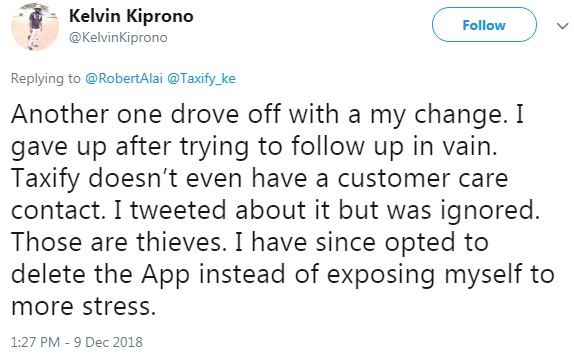 However, it appears this is not an isolated incident as several people complained about Taxify while narrating their shocking experiences.